Last year, I wrote about how we still appear to be very enamoured with stuff, despite the fact that a lot of our possessions, media in particular, could be stored (in digital format) in a cloud, rather than on the shelves in our living room. In the past couple of months, I have come across two pieces of news on material possessions, which intriguingly both reinforce my original hypothesis – and suggest that I need to think again. The first is one from The Economist which describes why the self-storage business is surprisingly profitable. It appears that demand for storage keeps growing; in Britain, there was an 8% growth in the number of stores in the past year, whilst, in America, one in ten families uses such facilities. Given certain factors, storage does seem to make sense: workers are increasingly mobile and need somewhere to hoard things whilst they sort out a new home; and a lot of the stuff we own can’t be consumed and doesn’t rot – think plastic toys and metal garden furniture. Perhaps what is surprising is that people end up keeping things for longer than might be expected. Contracts are often only for a month or so, yet hoarders stash things away for far longer. At Big Yellow, a British firm, 37% of space is filled with stuff that has been there for over three years. A cynic might compare human squirrels unfavourably to the wild sort, which usually remember to dig up their nuts come springtime. We like to have stuff, even if it’s hidden away from view. 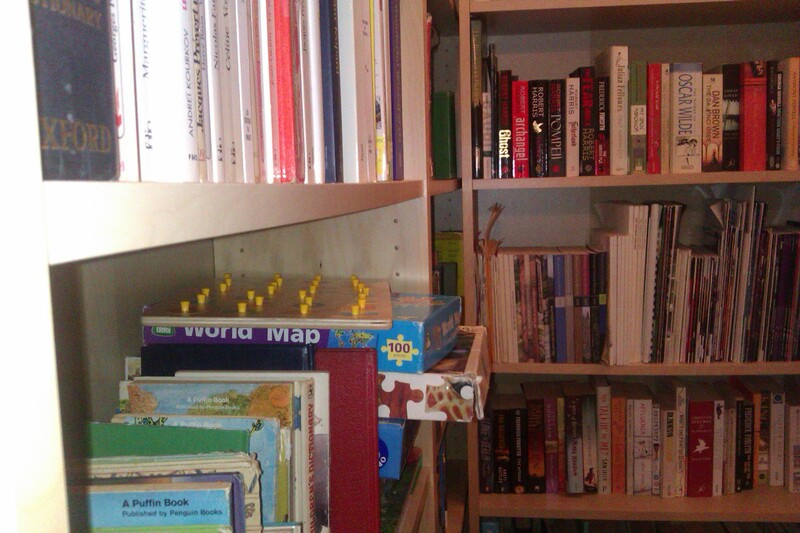 Now to my other news: it has been reported that Ikea is changing the dimensions of its very popular Billy book case to not be default-ready to house books, but a wider range of items. This is in recognition of the fact that ebooks are gradually ‘taking over’. So it seems we still have stuff, but it could stuffed away in storage, with different types of items chosen to be on display in our homes. My final reference is to a piece which explores the relationship we have with our possessions in a far more whimsical way. It’s a short story by Alan Benett (‘The clothes they stood up in’). It gently probes the impact that having all their household goods stolen has on a rather typically Benettian-staid couple – the Ransomes. It turns out all their possessions were mysteriously placed in a storage unit, laid out exactly as they left them.